I think it’s important to note that these are merely a Super Powers tribute/homage and not a intended to be a replica in figure or card. 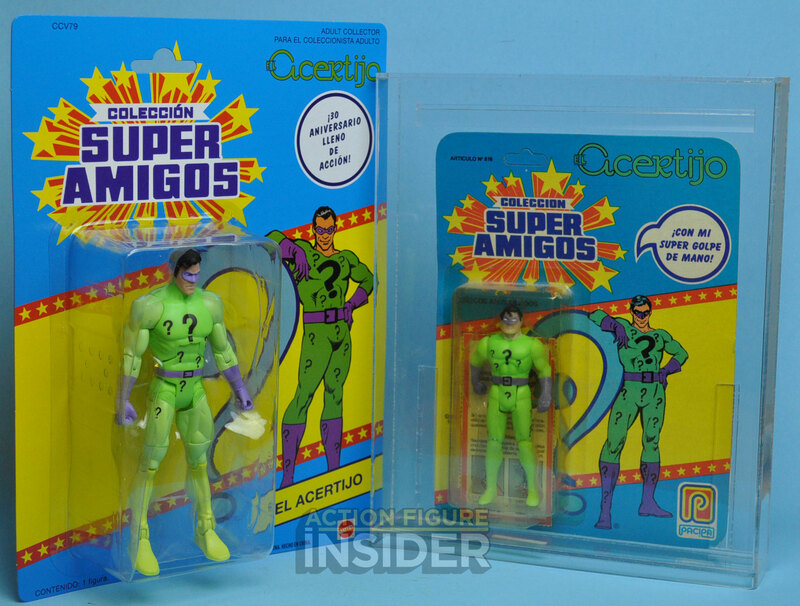 There are quite a few differences in details on all of the cards and figures from their original Kenner release but THIS figure goes above and beyond in capturing a SPECIFIC “white whale” for many collectors – the Argentina only Super Amigos “Riddler” or “El Acerjito” figure. The Package – I LOVE the package on this figure. 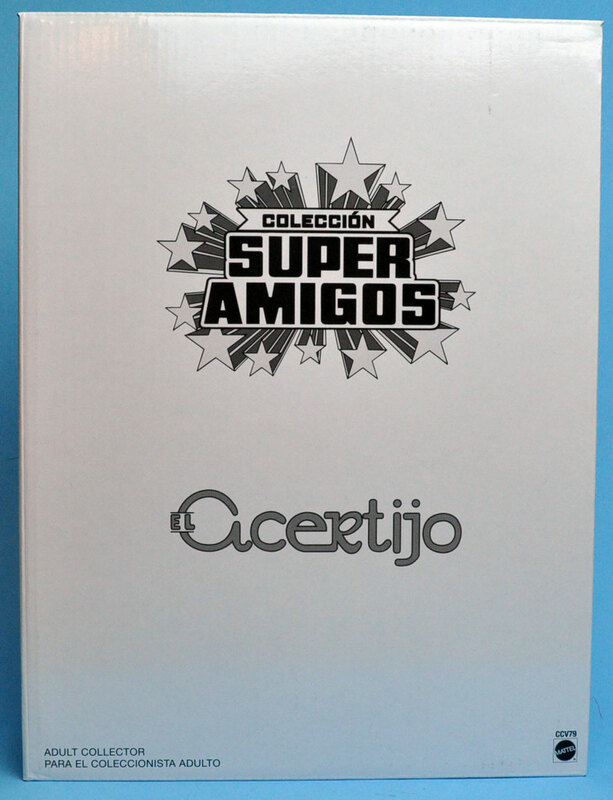 The fact that they not only made it a Super Amigos card, but that they wrote the whole card in Spanish is the best tribute in this subline. Just look at it, the bio, the safety warning, even the character names are all in Spanish. 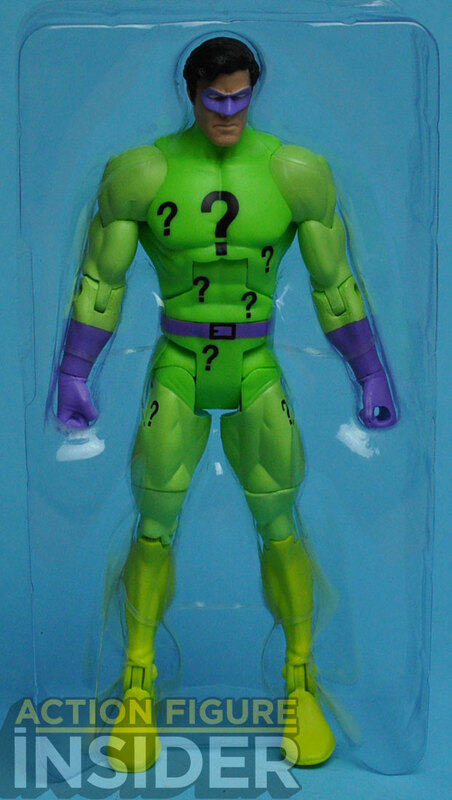 The Figure – This is the third Riddler figure we have gotten in the DCUC line. I think this is my favorite figure in the 6 figure DCUC Super Powers sub-line. 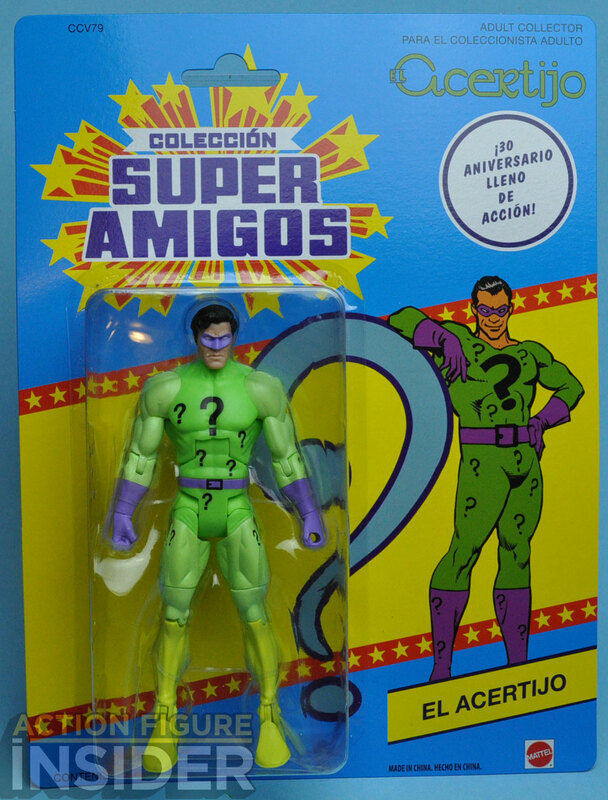 The original, vintage Super Amigos Riddler was a repainted Super Powers Hal Jordan Green Lantern figure. 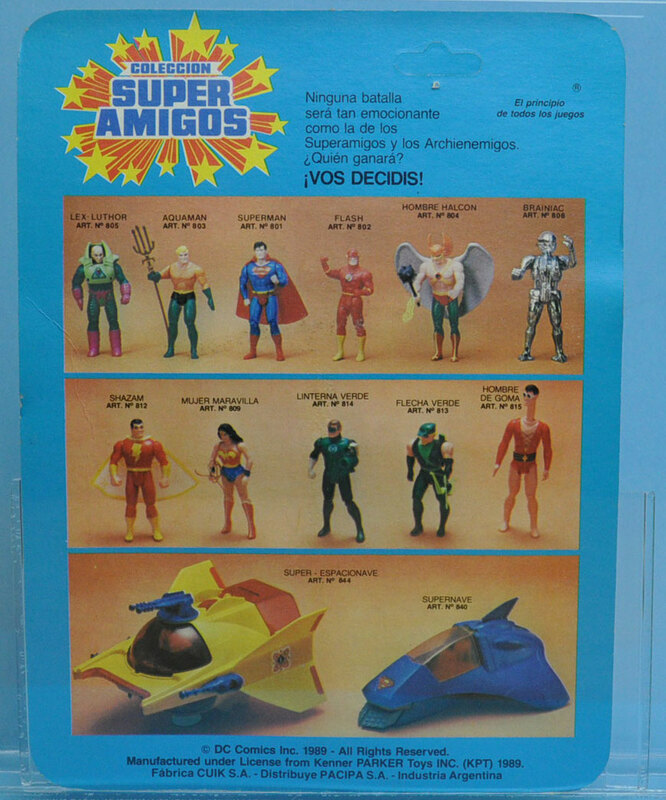 Many of the non-Kenner produced Super Powers/Super Amigos figures were produced with much lesser quality with sloppy, shoddy paint and often times the plastic not matching all the parts. 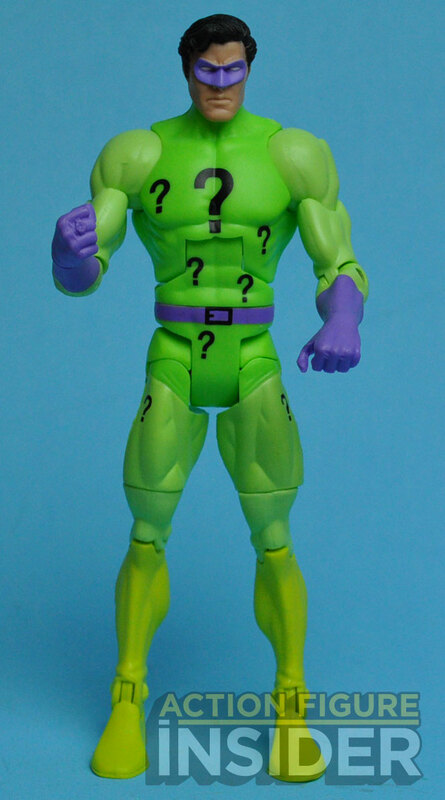 This is why the tribute figure has so many mis-matched greens as the Riddler figure was notorious for having discolored limbs and parts. It’s a cute detail. 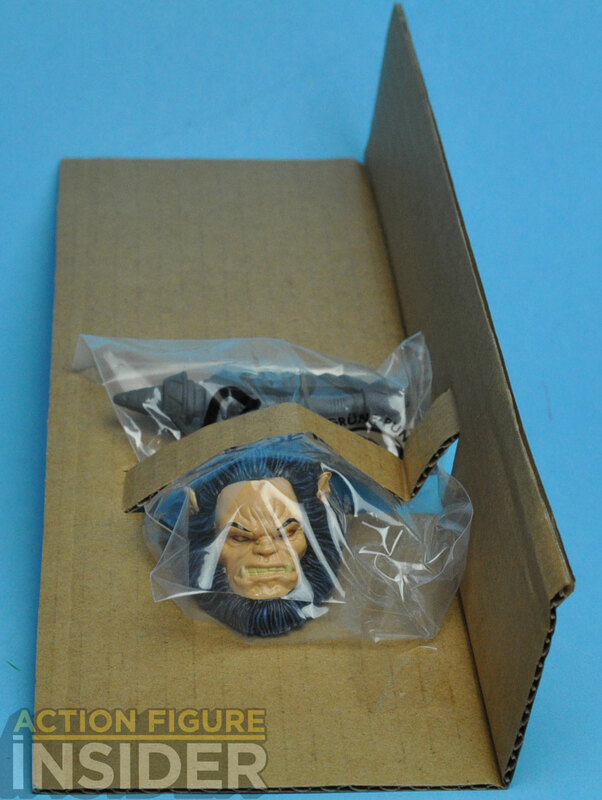 Collection and Connect – The Collect and Connect Kalibak piece is in the mailer box not in the bubble with the figure. It is polly-bagged and taped to an “L” shaped piece of cardboard in the mailer box so that it’s not in the package with the figure, as that would not be accurate to it’s vintage counterpart. 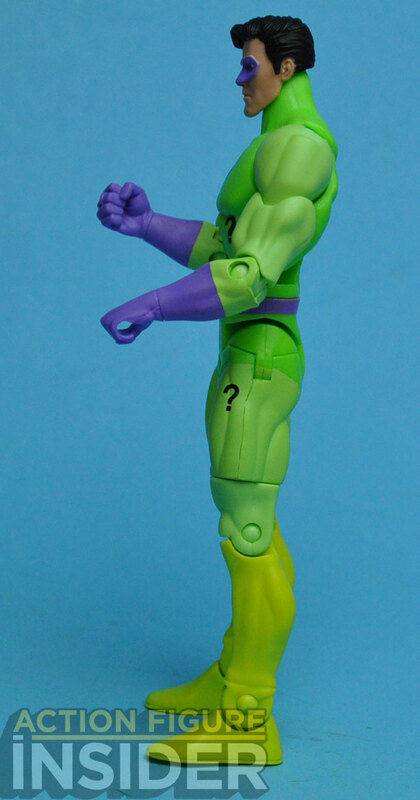 The Riddler comes with Kalibak’s head and weapon. 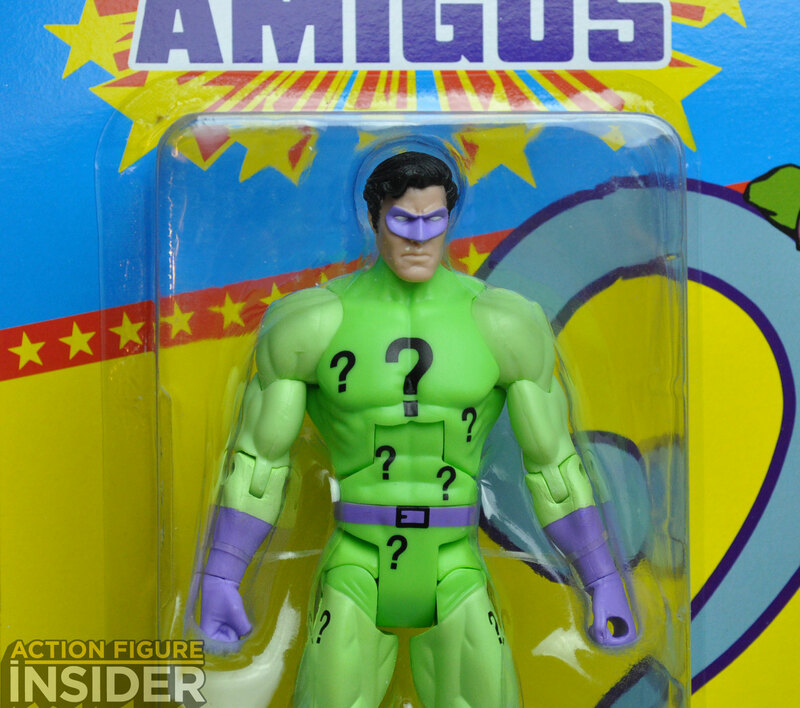 Comparison – Unfortunately I don’t have a LOOSE Super Amigos Riddler so the comparison to the vintage figure will have to be carded. 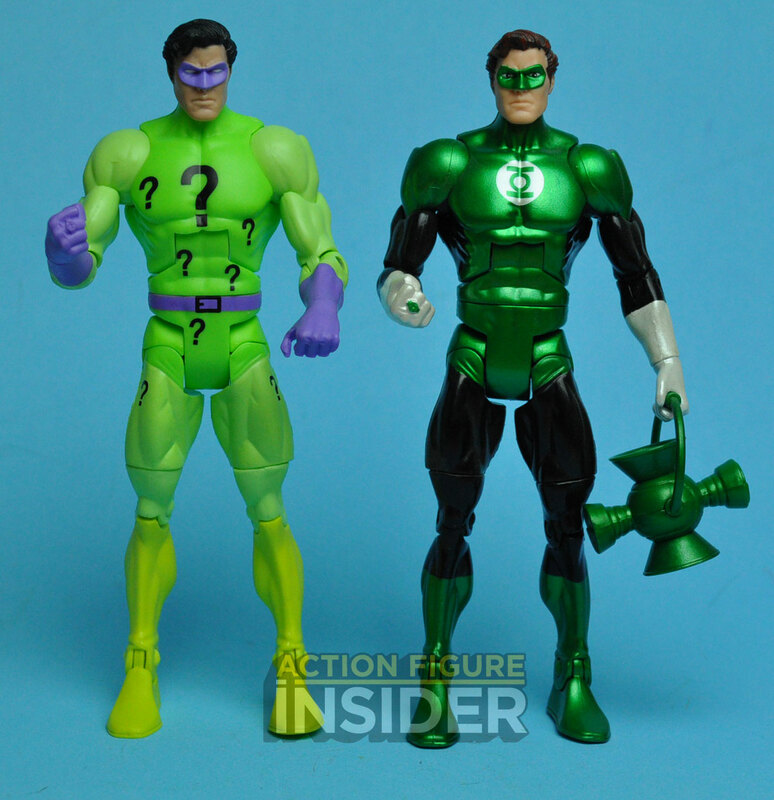 Here’s the comparison of the loose DCUC SP Riddler with the DCUC Hal Jordan. 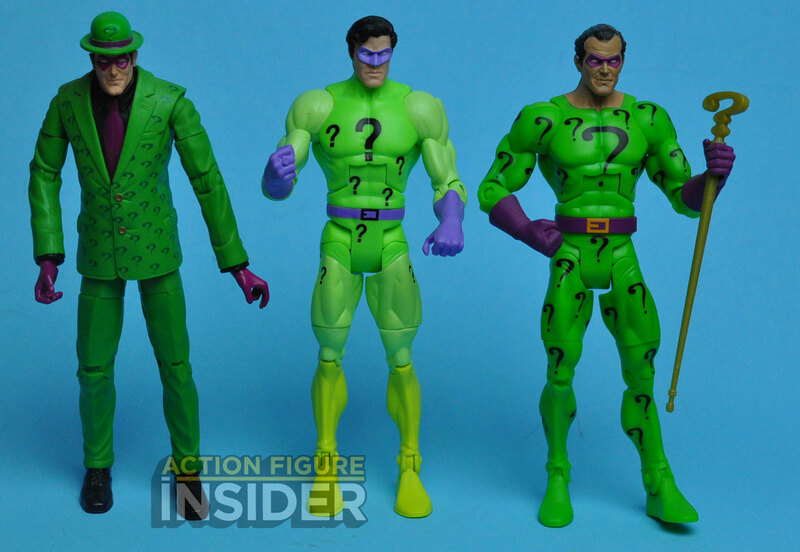 Here’s the comparison of the loose DCUC SP Riddler with the previous DCUC Riddler releases. You can see our earlier features on DCUC Super Powers Superman , Gold Superman, DCUC Super Powers Wonder Woman and DCUC Super Powers Batman by clicking on those links. The figure is available to order on MattyCollector.com on October 15th, 2014. 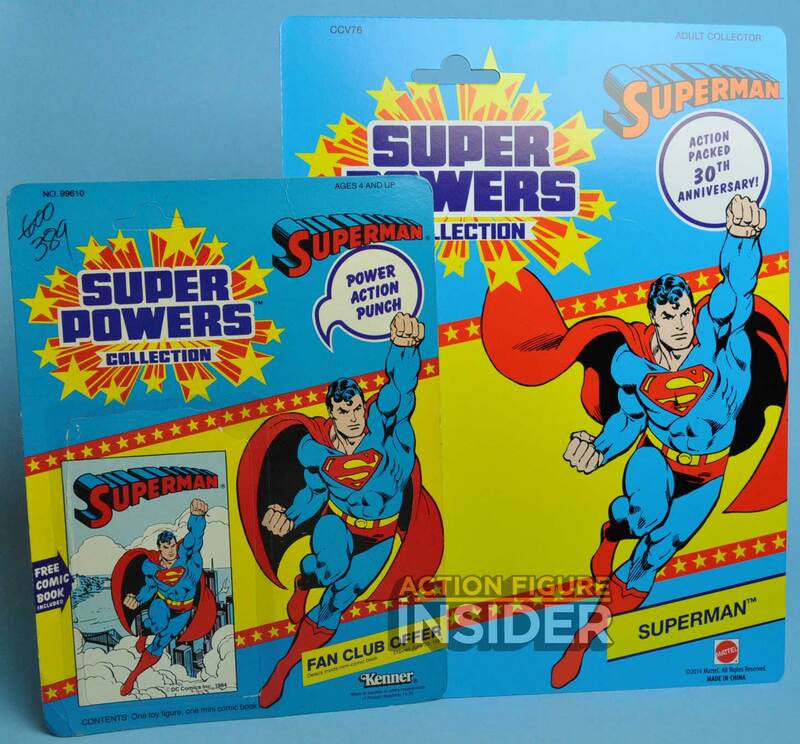 Sorry, unless you are a serious Super Powers fan, this whole SP homage was a let down for most other DCUC collectors. Mattel could have smartly made re-paints of already tooled figures to have released new and different characters many fans long demanded (which may have resulted in stronger sales and possibly save or resurrect the line) – instead they offered the same tired characters in different colors – a lazy effort and exemplifies Mattel’s failure or refusal to invest and support the line while having the nerve to blame the fans for not blindly subscribing. 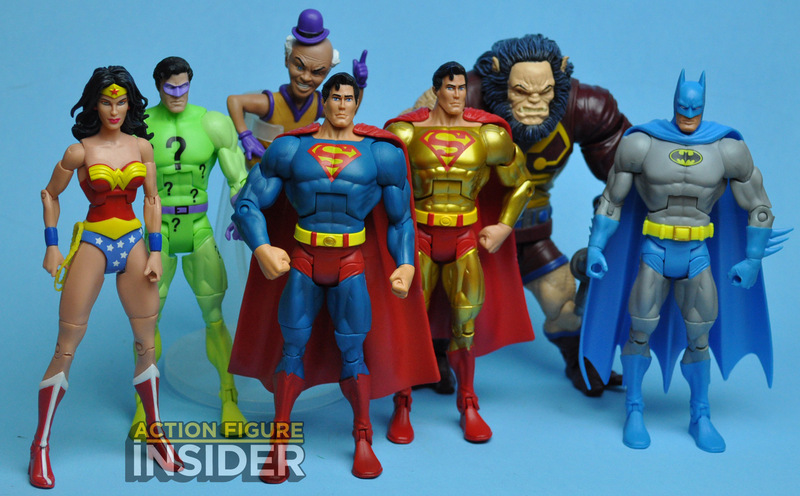 Most DCUC collectors could care less about these SP repaints (with the possible exception of finally getting a lighter blue Superman – although mine has a green hue to it! ), which is why the first wave of these SP repaints, after weeks on-line at Matty, are still all available – especially at the absurd price of about $42 (after shipping & tax). 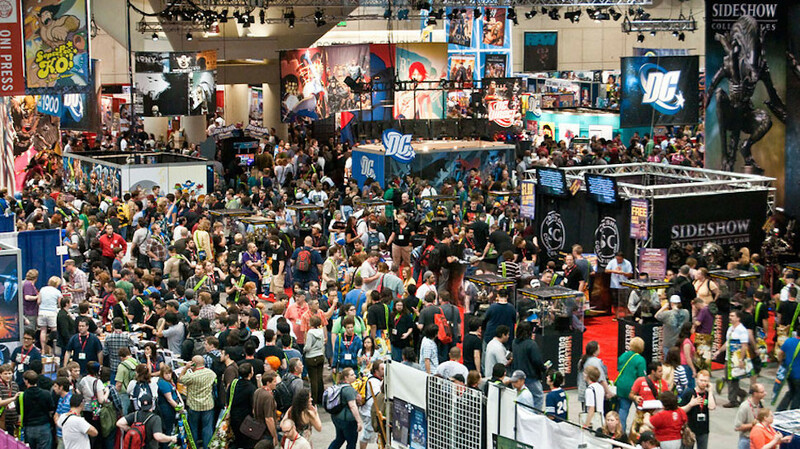 Sorry for sounding bitter, but I can’t help but lament how Mattel neglected and mismanaged this line into the ground when it could’ve been the equivalent of Marvel Legends. 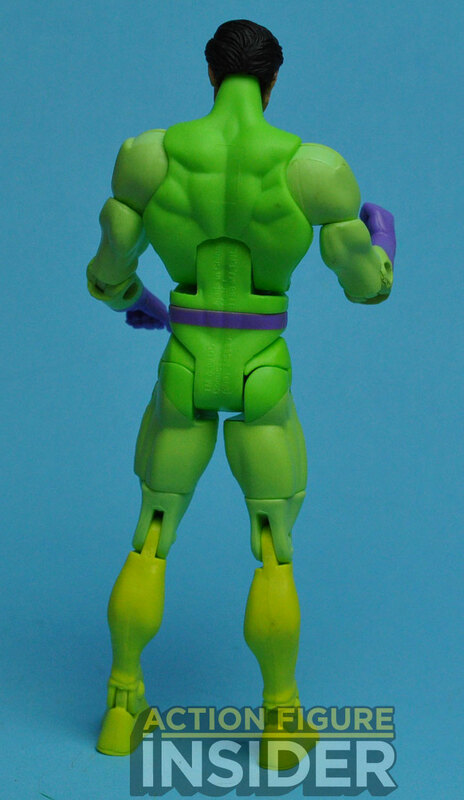 “Mattel deserves props” for intentionally making a crapping figure? I’m sorry, but taking your money for this and telling you it’s an “homage” is like a car dealer telling you the rust and dents in the Chevy he’s trying to sell you is an ‘homage’ to the long glorious history of GM. I didn’t buy into this series, and am glad I didn’t. A truly wonderful idea, but horrendously executed. The one figure I wanted most from this final release was the figure that disappointed me the most. The Superman figures I received were such a crushing disappointment. Chipped, sloppy and poor paint application (wrong shade of blue), etc. From the photos in the article, it looks like toy reviewers received a better copy – neither of mine look anywhere close to this nice. Quality control really dropped the ball on these, but I suppose these are the perils of manufacturing your goods on the other side of the planet.